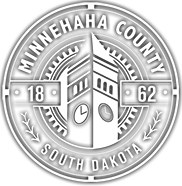 The Minnehaha County Treasurer’s Office seeks to provide taxpayers with the best possible services to meet the continued and growing needs of Minnehaha County. The Office is best known by the public for issuing motor vehicle licenses and collecting property taxes. Property taxes account for the majority of the revenue in the county budget. The Treasurer is not only responsible for collecting property taxes for the county, but the city and school districts as well. Minnehaha County collected approximately $234 million in real estate taxes in 2014 payable in 2015. Motor vehicle fees and wheel taxes are also collected at the County Treasurer’s office. Minnehaha County collected $41,992,252.37 in motor vehicle fees and wheel taxes during 2015. Motor vehicle collections are divided between the county, cities, townships and the state of South Dakota. The Treasurer’s office is also solely responsible and accountable for revenue collected by all other county offices, including 27 departments and 34 trust and agency funds. 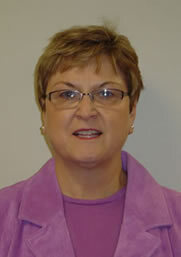 These funds are deposited with the County Treasurer’s Office and they are appropriated to the correct revenue account. Miscellaneous revenues were approximately $38 million last year. In addition to collecting taxes and other forms of revenue, the Treasurer assists senior and disabled citizens file applications for property tax relief and sales tax reductions. In conjunction with the State Departments of Revenue and Labor, the Treasurer issues distress warrants to the Sheriff in the event of non-payment of state sales taxes or unemployment insurance. Please visit the rest of the website to research and pay property taxes and download forms to process motor vehicle transactions. No transactions will begin after 4:45 p.m.